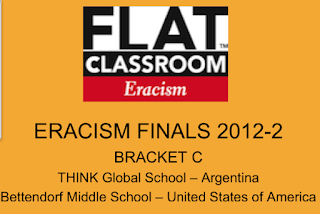 The Global Educator: Eracsim 12-2 - Debating across the Globe - Live this week! Eracsim 12-2 - Debating across the Globe - Live this week! 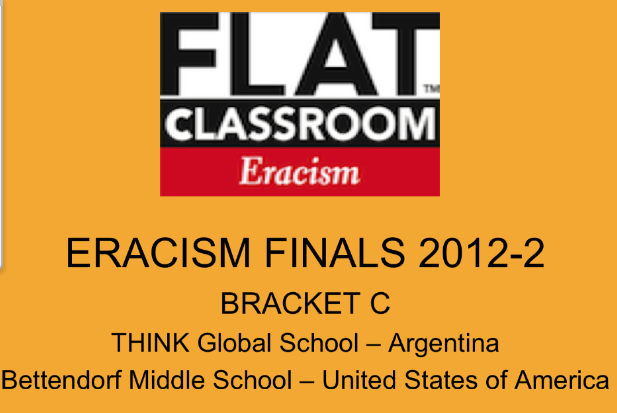 Congratulations to the Affirmative team, THINK Global School for being the adjudicated winner of this debate! 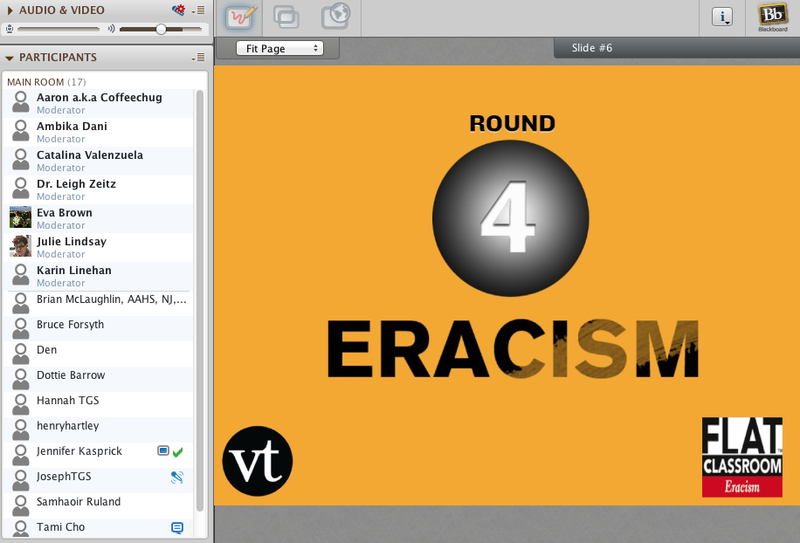 The Eracism 12-2 finals this year are being held synchronously in the virtual classroom, Blackboard Collaborate. Student teams must be ready to speak, respond and rebut with very little preparation between each speaker. Judges are sent to a breakout room at the conclusion of the debate and have about 5 minutes to deliberate and return with their conclusion and decision about the winning team. "These two pictures show education at a high level. We have students listening, analyzing, and trying to process new ideas and concepts in real time without much time to finalize as a team. During the short quick breaks they quickly dispersed ideas and had to quickly gather all their ideas, write ideas down and looking for that one loophole that we needed to win. It was remarkable. I sat on the floor with my coffee and just watched it unfold. I try very hard to keep my thoughts and ideas out as this is their debate. I do give them things to ponder, but never give facts or information directly." Aaron has another team debating this week, this time against a team in China - and you can imagine the logistics behind how we have finally determined a time for teams to debate live, given that China is 14 hours ahead of where Bettendorf is located. 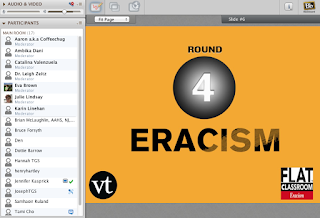 Eracism Project fosters a global debate, it also fosters learning about the world through interaction with others who live in different circumstances and have different ideas and opinions. It also teaches both educators and students how to use the technology available to connect and communicate effectively. Link for the Debate classroom. TOPIC: "Global management of natural resources will cause more harm than good"
Apply for Eracism 13-1 NOW - Involve YOUR students in this global debate next semester! Applications open until February 7, 2013.